Our Teaching this morning will continue in Torah, The Law of Moses from Deuteronomy 16.1-8. AND THE TITLE OF OUR MESSAGE IS, THE LORD SAID TO MY LORD. And with that said, let’s read Deuteronomy 16.1-8. I thought that we should do a study on a special and unique event that followed Messiah Yeshua’s Death, Burial, and Resurrection, during the Passover of His day, and His Ascension into Heaven forty days after His Resurrection. As you know, Messiah Yeshua was killed on the first day of Passover. And after three days He was resurrected to life again. And forty days after His Resurrection, Messiah ascended up into Heaven and sat at The Right Hand of GOD. The first time it is recorded in The Bible that Messiah sits at The Right Hand of GOD in Heaven is in David’s Psalm 110 that was written some one thousand years before Messiah’s Birth, Death, Burial, Resurrection, and Ascension into Heaven. SO LET’S TURN TO PSALM 110.1. THE LORD SAID TO MY LORD, IN HEBREW IS, N’OOM YEHOVAH LA’DONEE. PSALM 110.1 READS, THE LORD SAID TO MY LORD, SIT AT MY RIGHT HAND UNTIL I MAKE YOUR ENEMIES YOUR FOOTSTOOL. THE LORD SAID TO MY LORD IS SIMPLE TO READ, BUT DIFFICULT TO UNDERSTAND BECAUSE THERE IS ONLY ONE GOD. YET DAVID WRITES THAT THE LORD IS SPEAKING TO THE LORD. SO LET’S STUDY THIS REMARKABLE SCRIPTURE. THE MOST IMPORTANT HEBREW NAMES FOR GOD ARE YEHOVAH AND ELOHIM. YET GOD’S HEBREW NAME ELOHIM IS PLURAL MEANING GODS, G-O-D-S. BUT ELOHIM IS USED IN THE SINGULAR WHEN APPLIED TO THE ALMIGHTY GOD, THE GOD OF ISRAEL. HOWEVER WHEN DAVID HEARD FROM GOD BY VOICE, OR WAS SHOWN A VISION FROM GOD OF THE LORD SPEAKING TO THE LORD, GOD SHOWS US A PICTURE, AND GIVES US A DEFINITION OF THE ALMIGHTY GOD, ELOHIM, OR GODS. THAT PICTURE AND DEFINITION OF ELOHIM IS THE LORD SPEAKING TO THE LORD. THE LORD GOD SPEAKING TO MESSIAH YESHUA. AND THAT ONE GOD IS GOD ALMIGHTY, WHO IS MESSIAH YESHUA. BOTH GOD ALMIGHTY AND MESSIAH YESHUA ARE ONE AND THE SAME GOD. GOD IS NOT A HUMAN BEING THAT HE IS LIMITED TO BEING IN ONE PLACE AT ONE TIME. GOD CAN PHYSICALLY, IN THE FORM OF A HUMAN BEING BE IN MANY PLACES AT THE SAME TIME. BECAUSE GOD IS NOT A MAN. HE IS GOD. GOD IS GOD ALMIGHTY THE FATHER, THE GOD OF ISRAEL. HE IS THE SON OF GOD, THE MESSIAH YESHUA. HE IS MELCHIZEDEK, THE SPIRIT OF GOD, THE HOLY SPIRIT, THE GLORY OF GOD. AT TIMES THE ANGEL OF GOD, THE ANGEL OF THE LORD, THE BREATH OF LIFE IN US. HE FILLS THE HEAVENS AND THE EARTH. HE IS THE HOLY ONE OF ISRAEL, AND SO MUCH MORE. GOD IS BEYOND HUMAN COMPREHENSION. GOD HAS NO BEGINNING OR END. BUT THERE IS ONLY ONE GOD AND NO OTHERS. THAT IS BIBLICAL TEACHING FROM THE LIPS OF GOD. AND THAT IS WHAT GOD REQUIRES OF YOU AND ME TO KNOW AND BELIEVE, AND UNDERSTAND THAT GOD IS GOD. BEFORE GOD THERE WAS NO GOD FORMED. NEITHER WILL THERE BE ANOTHER GOD AFTER HIM. Let’s continue in Psalm 110 and what The LORD said to The LORD. AT MESSIAH YESHUA’S RETURN, MESSIAH, WHO IS GOD ALMIGHTY, WILL TRAMPLE AND DESTROY HIS ENEMIES. QUESTION? WHO ARE GOD’S ENEMIES? AND WHY ARE THEY GOD’S ENEMIES? GOD HAS MANY ENEMIES, BECAUSE MESSIAH SAYS, MANY ARE CALLED BUT FEW ARE CHOSEN. MESSIAH YESHUA IS JEWISH. HE IS GOD. THE ALMIGHTY GOD, THE LORD, THE GOD OF ISRAEL, HA SHEM ELOHIM, THE CREATOR OF THE HEAVENS AND EARTH AND ALL THAT IS IN THEM. MESSIAH YESHUA IS JEWISH BECAUSE HE WAS BORN INTO A JEWISH FAMILY, CIRCUMCISED ON THE EIGHTH DAY AFTER HIS BIRTH. AND BEING THE FIRST BORN SON OF HIS FAMILY WAS SANCTIFIED TO THE LORD IN THE TEMPLE IN JERUSALEM. ADD TO THAT, MESSIAH YESHUA IS THE SON OF DAVID, THE SON OF ABRAHAM. DAVID AND ABRAHAM ARE JEWISH. ANTI-SEMITES ARE THE ENEMIES OF GOD. ALSO THE ENEMIES OF GOD REJECT GOD BY REJECTING TORAH, THE LAW OF MOSES THAT HAS GOD’S LAWS, TEACHINGS, AND INSTRUCTIONS WRITTEN IN IT IN THE FIRST FIVE BOOKS OF THE BIBLE. THEREFORE MESSIAH WILL SAY TO HIS ENEMIES WHO REJECT THE LAW OF MOSES, DEPART FROM ME YOU THAT WORK LAWLESSNESS. REJECTING THE LAW OF MOSES LEAVES THAT PERSON LAWLESS IN THE EYES OF GOD. MESSIAH SAYS, THOSE WHO ARE LAWLESS, WORK AT BEING LAWLESS. PSALM 2. 2, 3, 4, 9 THE HEATHEN, AND THE KINGS OF THE EARTH, AND THE RULERS TAKE COUNSEL TOGETHER AGAINST THE LORD, AND AGAINST HIS ANOINTED, THE MESSIAH YESHUA BY BREAKING THEIR BANDS AND CAST AWAY THEIR CORDS. THEY ACCOMPLISH THAT BY BREAKING GOD’S LAW OF MOSES. THEY TOSS IT AWAY. THEY VIOLATE GOD. THEY VIOLATE HIS LAW OF MOSES. BUT THE BIBLE SAYS, GOD LAUGHS AT THEM. GOD HAS THEM IN DERISION. GOD RIDICULES THEM BECAUSE THEY REJECT HIM BY REJECTING HIS LAW OF MOSES. VERSE 9 AND GOD WILL BREAK THEM WITH A ROD OF IRON, AND DASH THEM INTO PIECES LIKE A POTTER’S VESSEL. THEY ARE THE ENEMIES OF GOD WHO REJECT GOD BY REJECTING HIS LAW OF MOSES. GOD HATES WICKEDNESS. WICKEDNESS IN HEBREW IS REH’SHAH MEANING SIN. SIN IS BREAKING THE LAW OF MOSES. THEREFORE GOD’S ENEMIES ARE THE ANTI-SEMITES, AND THOSE WHO REJECT THE LAW OF MOSES. PSALM 110.2 THE LORD SHALL SEND THE ROD OF YOUR STRENGTH OUT OF ZION. AND GOD SAYS TO MESSIAH YESHUA, RULE IN THE MIDST OF YOUR ENEMIES. WHEN MESSIAH RETURNS AND SETS UP HIS MESSIANIC KINGDOM IN ISRAEL FOR ONE THOUSAND YEARS, A LARGE NUMBER OF UNGODLY PEOPLE WILL REMAIN THROUGHOUT THE WORLD. AND THEY WILL BE HIS ENEMIES. BUT MESSIAH WILL RULE OVER THEM ALSO. PSALM 110.3 YOUR PEOPLE SHALL BE WILLING IN THE DAY OF YOUR POWER, IN THE BEAUTIES OF HOLINESS FROM THE WOMB OF THE MORNING. YOU HAVE THE DEW OF YOUR YOUTH. DEW IS PURE AND REFRESHING. MANY OF GOD’S JEWISH PEOPLE WILL BE WILLING AND HAPPY TO RECEIVE THEIR MESSIAH YESHUA WITH OPEN ARMS IN THE MESSIANIC KINGDOM. AND THEY WILL BE WILLING AND HAPPY TO LIVE BY TORAH, THE LAW OF MOSES IN THE BEAUTIES OF HOLINESS IN THE MESSIANIC KINGDOM IN ISRAEL. MESSIAH’S JEWISH PEOPLE, WHO TODAY IN GREAT NUMBERS REJECT HIM, AND MANY OF HIS JEWISH PEOPLE WHO SHOW NO INTEREST IN FOLLOWING TORAH, WILL LOOK UPON THEIR MESSIAH YESHUA IN THE MESSIANIC KINGDOM AND RECOGNIZE THAT HE IS THEIR MESSIAH, GOD ALMIGHTY, HA SHEM ELOHIM, WHOM THEY HAVE LONGED FOR, BUT REJECTED. ISAIAH SAYS, AND MANY PEOPLE SHALL GO AND SAY, COME, AND LET US GO UP TO THE MOUNTAIN OF THE LORD, TO THE HOUSE OF THE GOD OF JACOB. AND HE WILL TEACH US HIS WAYS, AND WE WILL WALK IN HIS PATHS. FOR OUT OF ZION SHALL GO FORTH THE LAW, AND THE WORD OF THE LORD FROM JERUSALEM. GOD’S PEOPLE WILL BE WILLING IN THE DAY OF THE LORD’S POWER, IN THE BEAUTIES OF HOLINESS IN THE KINGDOM OF GOD IN ISRAEL TO BE FULLY PART OF THE FAMILY OF GOD. AND MESSIAH AND HIS PEOPLE WILL BE ABSOLUTELY BEAUTIFUL AS IN THE DAYS OF OUR YOUTH. AND MANY GENTILES WHO HAVE JOINED IN WITH THE JEWISH PEOPLE IN SPIRIT AND IN TRUTH, WHO REJECTED THE LIE THEY HAVE BEEN TAUGHT THAT THE LAW OF MOSES IS ABOLISHED OR OPTIONAL, WHO TURNED TO THE LORD THEIR GOD, AND RECOGNIZED THAT MESSIAH YESHUA IS GOD ALMIGHTY THE FATHER, AND LIVE IN OBEDIENCE TO TORAH, THE LAW OF MOSES, THEY ALSO SHALL BE JOINED TO THE LORD, AND SHALL BE HIS PEOPLE. ALONG WITH THE MANY GENTILES WHO BLESSED THE JEWISH PEOPLE. PSALM 110.4 MESSIAH IS A PRIEST FOREVER AFTER THE ORDER OF MELCHIZEDEK, BECAUSE MELCHIZEDEK IS THE LORD. HE IS THE MESSIAH YESHUA, THE LORD GOD ALMIGHTY. ZECHARIAH 6.12-13 THE MAN WHOSE NAME IS THE BRANCH IS MESSIAH YESHUA, GOD ALMIGHTY. AND MESSIAH WILL SIT AND RULE UPON HIS THRONE IN THE MESSIANIC KINGDOM, AND SHALL BE A PRIEST AFTER THE ORDER OF MELCHIZEDEK UPON HIS THRONE. AND THE COUNSEL OF PEACE SHALL BE BETWEEN THEM BOTH. PSALM 110.5 THE DESTRUCTION OF THIS WORLD, OF PEOPLES, OF KINGS, AND LEADERS OF THE WORLD IN THE DAY OF THE LORD WHEN MESSIAH RETURNS WILL BE EXTRAORDINARY. BECAUSE MESSIAH SAYS, FOR THEN SHALL THERE BE GREAT TRIBULATION SUCH AS WAS NOT SINCE THE BEGINNING OF THE WORLD TO THIS TIME, NO NOR EVER SHALL BE. AND EXCEPT THOSE DAYS SHALL BE SHORTENED THERE SHOULD NO FLESH BE SAVED. BUT FOR THE ELECTS SAKE, THOSE DAYS SHALL BE SHORTENED. PSALM 110.6 MESSIAH WILL JUDGE THE HEATHEN. HEATHEN IN HEBREW IS GOYIM MEANING GENTILES. MESSIAH WILL JUDGE THE GENTILES IN A NUMBER OF WAYS. DID THEY BLESS THE JEWISH PEOPLE, OR CURSE THEM? DID THEY OBEY GOD BY OBEYING HIS LAWS, TEACHINGS AND INSTRUCTIONS THAT ARE WRITTEN IN THE LAW OF MOSES IN THE FIRST FIVE BOOKS OF THE BIBLE, OR NOT? REVELATION 20.12-13 THEIR WORKS ARE OBEDIENCE TO GOD. DID YOU OBEY GOD BY OBEYING HIS LAWS, TEACHINGS, AND INSTRUCTIONS THAT ARE WRITTEN IN THE LAW OF MOSES, OR NOT? TODAY REPENTANCE IS AVAILABLE TO EVERYONE BY TURNING FROM ALL YOUR SINS OF BREAKING THE LAW OF MOSES, AND TURNING TO GOD BY OBEYING HIS LAW OF MOSES, AND DOING THAT WHICH IS LAWFUL AND RIGHT. PSALM 110.7 FROM THE BROOK IN THE WAY SHALL HE DRINK. THEREFORE SHALL HE LIFT UP THE HEAD. AND THAT IS VICTORY. VICTORY FOR MESSIAH YESHUA, GOD ALMIGHTY. AND VICTORY FOR YOU, HIS PEOPLE, THE FAMILY OF GOD WHO WILL LIVE JOYFULLY IN PEACE AND PERFECTION FOR ONE THOUSAND YEARS IN THE MESSIANIC KINGDOM IN ISRAEL THAT WILL BE LIKE THE GARDEN OF EDEN. AND WE WILL DWELL WITH GOD. WE WILL DWELL WITH MESSIAH YESHUA. AND GOD WILL WIPE AWAY ALL TEARS FROM OUR EYES, AND THERE SHALL BE NO MORE DEATH, NEITHER SORROW, NOR CRYING, NEITHER SHALL THERE BE ANY MORE PAIN, FOR THE FORMER THINGS WILL HAVE PASSED AWAY. AND AFTER THE ONE THOUSAND YEAR MESSIANIC KINGDOM COMES OUR ETERNITY IN HEAVEN WITH OUR GOD AND MESSIAH, YESHUA HA MASHIAKH. WHERE THERE WILL BE NO NIGHT, NEITHER LIGHT OF THE SUN, FOR THE LORD GOD WILL GIVE US LIGHT. AND WE WILL REIGN FOREVER AND EVER. THEREFORE THE TITLE OF OUR TEACHING IS, MESSIAH YESHUA AND THE LAW OF MOSES. So with that said, let’s read Deuteronomy 15.19-23. DEUTERONOMY 15.19 The LORD GOD Commands The Children of Israel, today known as The Jewish People, that they must Sanctify the first born male animals from their herds and flocks to The LORD Their GOD. The word SANCTIFY, some Bibles say, CONSECRATE, comes from The Hebrew Word KAH’DAHSH meaning HOLY and Set Apart. Therefore the first born male children, and first born male sheep and cattle are Holy and Set Apart to The LORD Their GOD, The GOD of Israel. EXODUS 13.15 THE WORD REDEEM, AS IN GOD SAYING, ALL THE FIRST BORN OF MY CHILDREN I REDEEM, MEANS DELIVER. THE FIRST BORN MALE IN EACH JEWISH FAMILY IS GIVEN TO THE LORD IN RETURN FOR THE DELIVERANCE OF THE FIRST BORN HEBREWS DURING THE NIGHT OF THE EXODUS WHEN GOD KILLED THE FIRST BORN EGYPTIANS. According to Torah, The Law of Moses, Messiah Yeshua, Who was the first born son of His Jewish mother Miriam, was Sanctified, Set Apart and made Holy to The LORD GOD. And being Jewish, and of course Messiah Yeshua, Who is GOD Almighty, is Jewish, Miriam followed Torah to the letter. She had Messiah circumcised on the eighth day after His Birth, and she obeyed The Law of purification. THEREFORE ACCORDING TO TORAH, THE LAW OF MOSES, MESSIAH YESHUA WAS CIRCUMCISED ON THE EIGHTH DAY AFTER HIS BIRTH. AND AFTER HIS MOTHER MIRIAM COMPLETED HER DAYS OF PURIFICATION ACCORDING TO TORAH, MESSIAH WAS BROUGHT TO THE TEMPLE AND SANCTIFIED TO THE LORD. DEUTERONOMY 15.20 GOD Commands The Children of Israel to eat the first born of their herd (bull, cattle) and their flock (sheep, goats) before The LORD Your GOD. DEUTERONOMY 15.21 If there is any blemish on or in the animal, GOD says, you shall not sacrifice it to The LORD Your GOD. DEUTERONOMY 15.22 You shall eat it within your gates. That is, You shall eat it in your own home town. The unclean and the clean person being The Jewish Person and the non-Jewish person may eat it as they eat a roebuck, which is a gazelle, and the hart, which is a deer. The reason a Jewish Person is called clean in The Bible is because for the most part, The Jewish People obey Torah, The Law of Moses, and eat only that which GOD calls clean, the meat of those animals that may be eaten according to GOD’S Dietary Laws Written in The Bible. While the non Jewish person, for the most part, does not obey GOD’S Dietary Laws and eats those meats that GOD calls unclean and an abomination that should not be eaten. DEUTERONOMY 15.23 It is Commanded by GOD that you shall not eat the blood of the animal. But rather pour it on the ground as water. Messiah Yeshua lived by every Law written in Torah. Messiah Yeshua did not end The Law of Moses, GOD forbid. Abolishing The Law of Moses is man’s anti-GOD teaching. But rather Messiah Yeshua carried out His Life and Death according to The Letter of The Law of Moses. Having no sin means that Messiah Yeshua fully obeyed Torah, The Law of Moses. Let’s look. THE WORD BEGOTTEN, AS IN, GOD GAVE HIS ONLY BEGOTTEN SON, MEANS THAT THE MALE PARENT PROCREATES OFFSPRING. THAT IS, THE FATHER PRODUCES THE CHILDREN. MESSIAH YESHUA WAS BORN OF GOD THE FATHER. GOD BROUGHT FORTH MESSIAH YESHUA FROM MIRIAM, GOD’S ONLY BEGOTTEN SON. NOT ONLY IS MESSIAH YESHUA THE ONLY BEGOTTEN SON OF GOD, MESSIAH YESHUA IS GOD ALMIGHTY, THE FATHER. EVEN AS A HUMAN BEING, MESSIAH YESHUA IS THE SON OF GOD, GOD ALMIGHTY, THE FATHER, THE SPIRIT, THE HOLY SPIRIT AND SO MUCH MORE. MESSIAH YESHUA IS HA SHEM ELOHIM. BEING THE FIRSTBORN AND ONLY BEGOTTEN SON OF GOD, AS THE LAW OF MOSES REQUIRES, MESSIAH YESHUA WAS SANCTIFIED TO THE LORD, MADE HOLY AND SET APART TO THE LORD AS IT IS RECORDED IN LUKE 2.21-24. ADD TO THAT, FOR GOD SO LOVED THE WORLD THAT WHOSOEVER BELIEVES IN MESSIAH YESHUA SHOULD NOT PERISH BUT HAVE EVERLASTING LIFE. BELIEVING IN MESSIAH YESHUA IS BEING OBEDIENT TO EVERY WORD THAT PROCEEDS OUT OF THE MOUTH OF GOD FOR MESSIAH YESHUA IS GOD ALMIGHTY. MESSIAH YESHUA WAS SANCTIFIED, MADE HOLY, AND SET APART TO THE LORD GOD OF ISRAEL ACCORDING TO TORAH, THE LAW OF MOSES. DEUTERONOMY 15.20 As you well know, Messiah Yeshua is called The Lamb of GOD because He was like a lamb being led to the slaughter, giving His Life voluntarily to make Atonement for our souls. He is A Lamb without blemish. Without sin. AND THE BIBLE TEACHES THAT MESSIAH YESHUA, THE LAMB OF GOD, IS GOD ALMIGHTY THE FATHER, HA SHEM ELOHIM. THE CREATOR OF HEAVEN AND EARTH AND ALL THAT IS IN THEM. When The Jewish Court handed Messiah over to the Romans to be killed, Messiah’s death to make Atonement for our sins was foreordained by GOD. GOD appointed Messiah Yeshua, Who is GOD Himself, to give His Life for our atonement before the foundation of the world. MESSIAH YESHUA IS GOD ALMIGHTY THE FATHER WHO GAVE HIS LIFE FOR YOU IN THE PERSON OF MESSIAH YESHUA, AS A HUMAN BEING TO MAKE ATONEMENT FOR YOUR SOUL. FOR GOD WILL FORGIVE YOUR SINS, AS PAUL WRITES, IF YOU WALK IN NEWNESS OF LIFE. NEWNESS OF LIFE IS BEING DEAD TO SIN BY LIVING YOUR LIFE IN OBEDIENCE TO GOD. IN OBEDIENCE TO EVERY WORD GOD SPEAKS IN THE LAW OF MOSES AND THROUGHOUT THE BIBLE. FOR SIN IS THE TRANSGRESSION OF THE LAW OF MOSES. Deuteronomy 15.20 also reads, You shall eat the first born animal of your herd or flock before The LORD Your GOD. MESSIAH PREPARED HIS DEATH ACCORDING TO TORAH, THE LAW OF MOSES. THE BROKEN MATZAH AT MESSIAH’S SEDER WAS ALSO SYMBOLIC OF HIS BODY BROKEN, KILLED, AND SACRIFICED FOR US. MESSIAH’S SHED BLOOD DELIVERS US FROM ETERNAL DEATH TO ETERNAL LIFE IN HEAVEN. DEUTERONOMY 15.22 GOD commands the non Jewish person and The Jewish Person to eat the first born animal within their gates, that is in their own home town. LET’S LOOK AT JOHN 6.47-59 Of course, Messiah was not speaking literally of eating His Body. Just as He was not speaking literally of eating His Body when He held up the Matzah at the Seder. Nor was He speaking literally about drinking His Blood when He held up the cup of wine. This is symbolic language. Messiah’s Words are representative of the Priests eating the animal sacrifice. And it is important to know that the Family of GOD will be Priests and Kings with Messiah in the One Thousand Year Messianic Kingdom in Israel. But most important, Messiah wants us to fully absorb His Way of Life. He wants us to live our life as He lives His. By living according to every Law, Teaching, and Instruction that is written in Torah, The Law of Moses. EVERY WORD, EVERY ACTION OF MESSIAH YESHUA IS AND WAS ACCORDING TO TORAH, THE LAW OF MOSES. DEUTERONOMY 15.23 Do not eat the blood of the sacrificed animal, but pour it on the ground as water, saith The LORD. MESSIAH YESHUA LIVED AND DIED ACCORDING TO TORAH, THE LAW OF MOSES. ACCORDING TO TORAH, MESSIAH WAS CIRCUMCISED ON THE EIGHTH DAY AFTER HIS BIRTH. AND BEING THE FIRST BORN SON, HE WAS SANCTIFIED TO THE LORD ACCORDING TO TORAH. MESSIAH IS PERFECT, WITHOUT SIN, OBEDIENT TO ALL THE LAW OF MOSES. MAKING ATONEMENT FOR YOUR SINS, MESSIAH YESHUA, WHO IS HA SHEM, GOD ALMIGHTY, PERFECT AND WITHOUT SIN, WAS KILLED AND SHED HIS BLOOD ON THE FIRST DAY OF PASSOVER FOR YOUR DELIVERANCE. JUST AS THE FIRST PASSOVER LAMB SHED ITS BLOOD IN EGYPT FOR THE DELIVERANCE OF THE CHILDREN OF ISRAEL. AND ACCORDING TO TORAH, MESSIAH’S BLOOD WAS POURED OUT LIKE WATER THAT WE MAY HAVE ATONEMENT AND ETERNAL LIFE IN HEAVEN. MESSIAH YESHUA LIVED AND DIED ACCORDING TO TORAH, THE LAW OF MOSES. AND THAT IS HOW WE SHOULD LEAD OUR LIVES. THAT IS THE EXAMPLE THAT MESSIAH LEFT FOR US THAT WE SHOULD FOLLOW. THAT YOU SHOULD BE OBEDIENT TO TORAH, THE LAW OF MOSES. AS THE ELECT OF GOD, THE LORD GIVES US EXAMPLES TO BE KIND ONE TO ANOTHER. Our teaching from Torah, The Law of Moses will continue from Deuteronomy 15.12-18. AND THE TITLE OF OUR MESSAGE IS, AS THE ELECT OF GOD, THE LORD GIVES US EXAMPLES TO BE KIND ONE TO ANOTHER. And with that said, let’s read Deuteronomy 15.12-18. This section from Deuteronomy 15.12-18 is a continuation of The LORD’S Release called in Hebrew, LA’YEHOVAH SHEMITTAH. The LORD’S SHEMITTAH, or The LORD’S RELEASE is GOD’S Law that at the end of every seven years The Children of Israel are to cancel all debts. In these verses that we just read, Moses is speaking to The Children of Israel not many days before they entered into The Promised Land Canaan that became The Land of Israel. And speaking The Words that GOD told him to speak, Moses said, If your brother, a Hebrew man or a Hebrew woman is sold to you and serves you six years, then in the seventh year you shall let him or her go free from you. And when you send them out free from you, you shall not let them go away empty. You shall furnish them liberally out of your flock, and out of your barn with food, and out of your wine cellar of that which The LORD Your GOD has blessed you, you shall give to them. And you shall remember that you were slaves in the land of Egypt. And The LORD Your GOD delivered you. Therefore I charge you with this Commandment this day, Moses said. And it shall be if your slave shall say to you, I will not go away because he loves you and your household because he is well with you, then you shall take an awl that is something like a nail, and put it through his ear into the door and he shall be your slave forever. And also to your female slave you shall do the same thing. It shall not seem hard to you, Moses said, when you send him or her away free from you, for they have been worth double the service of a hired servant to you in serving you six years. And The LORD Your GOD shall bless you in all that you do. So I was thinking, there is no slavery in Israel or in the United States today. So what can this message be about? When in trouble, Pray to The LORD. And I prayed to The LORD, and The LORD guided me to Verses 12 and 13. DEUTERONOMY 15.12-13 And if your brother, a Hebrew man or a Hebrew woman is sold to you, and serves you six years, then in the seventh year you shall let him go free from you. And when you send him out free from you, you shall not let him go away empty. Therefore our message will be about Kindness because The LORD’S KINDNESS should be an example for everyone to follow. Let’s talk about Joseph. It is said that the narratives concerning Joseph form the transition between the stories of the patriarchs, Abraham, Isaac, and Jacob, and the enslavement of The Children of Israel in Egypt. But the story of Joseph also teaches kindness. The Bible says that Israel, GOD’S name for Joseph’s father Jacob, loved Joseph more than all his children because he was the son of his old age. And he made him a coat of many colors. And when his brothers saw that their father loved him more than all his brothers, they hated him and could not speak peaceably to Joseph. And Jacob sent Joseph to his brothers where they were feeding their father’s flock to see if all was well with them, and the flocks, and Jacob said, And bring me word again. So Joseph went, and got lost, and started wandering around in the field. And The Bible says, A certain man found him. And the man asked him, What are you looking for? And Joseph said, I’m looking for my brothers. Tell me please where they are feeding their flocks? And the man said, They left from here and I heard them say, Let’s go to Dothan. And Joseph went after his brothers and found them in Dothan. I have always thought that the man who told Joseph where his brothers were was GOD, or perhaps an angel. But when Joseph’s brothers saw him coming, even when he was a long distance away, they conspired to kill him, and toss him into a pit, and tell their father that some evil beast devoured him. But Reuben said, Let’s not kill him. Let’s not shed any blood but toss him into a pit in the wilderness. Because Reuben was hoping to save the kid and return him to his father. So when Joseph arrived, his brothers stripped him of his coat of many colors that he was wearing, and they took him and tossed him into a pit that was empty of any water. And they sat down to eat a ways off. And while they were eating, they looked, and saw a company of Ishmeelites with their camels and their goods to bring down to Egypt. And Judah said, Let’s not kill him, but let’s sell him to the Ishmeelites. And the brothers liked that idea. But without the brothers knowing, a group of Midianite merchant men saw Joseph in the pit and they lifted him out, and sold him to the Ishmeelites for twenty pieces of silver. And the Ishmeelites brought Joseph down into Egypt. And when Reuben went to the pit, Joseph was gone. And he ripped his clothes. And he told his brothers, and said to them, What am I to do? And as you know, Joseph was sold to an Egyptian Army Officer to be a servant to him and his wife. But his wife wanted to sleep with Joseph, but Joseph ran from her, and the wife had Joseph put in jail. And the miracles of GOD continued. With the help of GOD, Joseph interpreted the dreams of two prisoners in jail, and Pharaoh’s dream of seven years of great and plenty throughout all the land of Egypt, and seven years of famine. And Pharaoh promoted Joseph to be Governor of Egypt because he knew that The Spirit of GOD was in Joseph. And after seven years of plenty in the land of Egypt, GOD caused a great famine to fall upon Egypt and Canaan where Joseph’s family was living. And for the family of Jacob to have food, Jacob sent Joseph’s brothers down to Egypt to buy food. And when the brothers arrived in Egypt, they had no clue that they were bowing down before their brother Joseph asking him to buy food for their family in Canaan. And Joseph knew immediately who they were, and asked them in a rough voice, Where do you come from? From the land of Canaan they said, to buy food. But Joseph accused them of being spies to spy out the country. So like any good brother, Joseph continued to make them crazy and put them through all kinds of hoops. Even putting all his brothers in jail for three days before he gave them food for his family in Canaan. And the time came when Joseph revealed to them who he was, and they cried, and hugged, and Joseph brought his father and all the family of Jacob, seventy in all, the entire Jewish population at the time, from Canaan down to live in Egypt where there was plenty of food. EPHESIANS 4.32 And be kind one to another, tenderhearted, forgiving one another, even as GOD for Messiah’s sake has forgiven you. You also know the beautiful story about Ruth. Ruth was a lady from Moab, the daughter-in-law of Naomi, a woman from Bethlehem in Judah. There was a famine in the land of Israel, and a man from Bethlehem-Judah went to live in the country of Moab with his wife and two sons. The man’s name was Elimelech, and his wife’s name was Naomi. And in time after they arrived in Moab, Moab would be in current day Jordan by the Dead Sea, Naomi’s husband, Elimelech died. And she was left with her two sons. And in time her two sons married women from Moab. Orpah and Ruth. After about ten years, Naomi’s two sons died, the husbands of Orpah and Ruth. So Naomi, grieving with her two daughters-in-law said to them that she was returning to Israel. And Naomi and her two daughters-in-law were on their way to the Land of Judah. But Naomi said to her two daughters-in-law, Go and return to your mother’s house in Moab. The LORD deal kindly with you as you have dealt kindly with my two sons and me. The LORD grant you that you may find rest, each of you in the house of your new husband. Then Naomi kissed them, and the two girls wept. But Ruth and Orpah wanted to go with Naomi to Israel to her people. But Naomi said, Stay here in Moab my daughters. Why will you go with me? Are there yet any more sons in my womb that they may be your husbands? I’m too old to have a husband. For it grieves me so much for your sakes that The Hand of The LORD is gone out against me. And the two girls wept again. And Orpah kissed her mother-in-law, and returned home to her family. But Ruth stayed close to Naomi. And Naomi said to Ruth, Your sister-in-law has gone back to her people, and to her gods. You should follow your sister-in-law. But Ruth said to Naomi, Do not urge me to leave you, or return from following after you. For where you go, I will go, and where you lodge, I will lodge. Your People shall be my People, and your GOD, my GOD. Where you die, I will die, and there I will be buried. The LORD do so to me and more also if anything but death separates you and me. And Naomi saw that Ruth was determined to go with her. So they came to Bethlehem, and all Bethlehem was moved to see them. And Naomi said to them, Do not call me Naomi, but call me Mara, (Mara in Hebrew means Bitterness) for THE ALMIGHTY has made my life bitter and The LORD has afflicted me. And it was harvest time. And Naomi had a relative of her husband, a mighty man of substance of the family of Elimelech, and his name was Boaz. And Ruth asked Naomi for permission to go into the field to gather ears of grain behind someone who will show me kindness. And Naomi said to her, Go, my daughter. And Ruth happened upon a parcel of land belonging to Boaz. And Boaz inquired about Ruth. Whose young woman is this? And it was answered, The Moabite woman that came back with Naomi out of the country of Moab. And Ruth was a hard worker spending little time at home. And Boaz spoke to Ruth, and said, Don’t glean in another field, and don’t leave here, but stay close to my maidens. Keep your eyes on the field which they are harvesting and follow after them. I have ordered the men not to touch you. And when you are thirsty go to the jugs and drink from that which the servants have drawn. And Ruth bowed down to the ground, and she said to Boaz, Why have I found favor in your eyes that you should take knowledge of me seeing I am a foreigner? And Boaz said, It has been shown to me all that you have done for your mother-in-law since the death of your husband, and how you have left your father and mother, and the land where you were born, and have come to a People whom you never knew before. The LORD reward your deeds. And may you have a full reward from The LORD GOD OF ISRAEL under whose wings you have come to trust. And Boaz invited Ruth to his house for dinner, and when she arrived, she sat down beside the reapers, and she ate to her fill. DEUTERONOMY 25.5 Boaz may or may not have been a brother to Naomi’s dead husband, but he was next of kin, one of Naomi and Ruth’s closest living blood relatives. However Boaz was under no obligation to marry Ruth. And Ruth, a Gentile, a non Jewish Person was under no obligation to marry Boaz. But they did marry and Ruth converted to Judaism. She became part of The Jewish People. She was a special lady who loved The GOD of Israel, and she loved her husband Boaz. And Ruth loved Torah, The Law of Moses, and she lived by every word of Torah. And Boaz and Ruth had a son and called him Obed. Obed in Hebrew is O’VAYD meaning Serving and Worshiping. SO, AS THE ELECT OF GOD, THE LORD GIVES US EXAMPLES TO BE KIND ONE TO ANOTHER. AND BLESSES YOU FOR THAT KINDNESS. Posted on October 14, 2018 October 14, 2018 Categories Shabbat MessageLeave a comment on AS THE ELECT OF GOD, THE LORD GIVES US EXAMPLES TO BE KIND ONE TO ANOTHER. SHEMITTAH, AT THE END OF EVERY SEVEN YEARS YOU SHALL CANCEL ALL DEBTS. Our teaching from Torah, The Law of Moses will continue from Deuteronomy 15.1-11. AND THE TITLE OF OUR TEACHING IS, SHEMITTAH, AT THE END OF EVERY SEVEN YEARS YOU SHALL CANCEL ALL DEBTS. And with that said, let’s read Deuteronomy 15.1-11. DEUTERONOMY 15.1 The Torah that is written in the first five books of The Bible, also called The Law of Moses, has all GOD’S Laws, Teachings, and Instructions written in it. MOSES RECEIVED GOD’S LAWS FROM GOD AND GAVE THEM TO THE JEWISH PEOPLE. AND THROUGH THE BIBLE THAT JEWISH PEOPLE WROTE, GOD GAVE HIS LAWS TO ALL THE WORLD TO LIVE BY AND OBEY. This specific Law of GOD in Deuteronomy 15.1, reads, At the end of every seven years you shall make a release. THE WORD RELEASE COMES FROM THE HEBREW SHEMITTAH THAT MEANS, RELEASE, CANCEL, AND FREE FROM OBLIGATION. DEUTERONOMY 15.2 GOD explains The Law of Shemittah, The cancelling of all debts. AT THE END OF EVERY SEVEN YEARS, EVERY CREDITOR THAT LENDS ANYTHING TO HIS NEIGHBOR OR RELATIVE, WHETHER IT IS MONEY OR SOMETHING ELSE, SHALL CANCEL THAT DEBT. HE SHALL NOT DEMAND, CALL FOR, OR FORCE THE PERSON TO WHOM THE LOAN WAS MADE BECAUSE IT IS CALLED THE LORD’S SHEMITTAH, THE LORD’S RELEASE. A creditor is the person or company to whom money is owed. DEUTERONOMY 15.3 However of a foreigner, that is a non-Jewish person, the lender may demand payment. But The Law of Shemittah, The LORD’S Release, the cancellation of all debts made to your brother, that is another Jewish Person, your hand shall release. You shall cancel all obligations to Jewish People at the end of every seven years. DEUTERONOMY 15.4 By so doing, GOD says, there shall be no poor among you. For The LORD Your GOD will bless you in The Land which The LORD Your GOD gives you for an inheritance to possess it. Therefore The LORD’S purpose for Shemittah, The cancellation of all debts at the end of every seven years will result in The Land of Israel having no poor. And The LORD says, He will greatly bless The People in The Land which The LORD GOD gives you for an inheritance to possess, If they obey The LORD’S Release. DEUTERONOMY 15.5 ONLY IF, IN HEBREW, RAHK EEM, ONLY IF YOU CAREFULLY OBEY THE VOICE OF THE LORD YOUR GOD AND PAY ATTENTION TO DO ALL THESE COMMANDMENTS WHICH THE LORD YOUR GOD COMMANDS YOU THIS DAY. As you know, the word ONLY means, To the exclusion of everything else. Therefore GOD says, Only, (to the exclusion of everything else) if You Carefully Obey The Voice Of The LORD Your GOD to Observe To Do All These Commandments which The LORD Your GOD Commands You This Day, there shall be no poor among you. For The LORD Your GOD shall greatly bless you in The Land which The LORD Your GOD gives you for an inheritance to possess it. DEUTERONOMY 15.6 For The LORD Your GOD blesses you as He promised you. 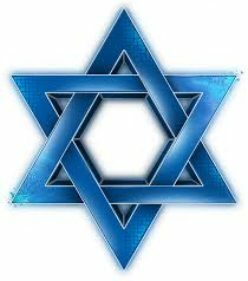 I believe the following blessings will come in Messianic Kingdom time in Israel when Israel will lend to many nations, but Israel will not borrow. And Israel will reign over many nations, but the nations will not reign over Israel. AND YES, OBEYING GOD IS BELIEVING IN THE MESSIAH YESHUA. DEUTERONOMY 4.1 GOD GAVE HIS STATUTES AND JUDGMENTS WRITTEN FROM GENESIS THROUGH REVELATION TO ISRAEL. AND THROUGH THE BIBLE THAT JEWISH PEOPLE WROTE, GOD GAVE THEM TO THE WORLD TO LIVE YOUR LIFE ACCORDING TO GOD’S LAWS, TEACHINGS AND INSTRUCTIONS. JOHN 3.16 BELIEVING IN MESSIAH YESHUA IS BELIEVING THAT MESSIAH IS GOD ALMIGHTY THE FATHER. AND YOU OBEY EVERY WORD HE SPEAKS IN THE BIBLE FROM GENESIS THROUGH REVELATION THAT INCLUDES TORAH, THE LAW OF MOSES. WHAT IS JEWISH LAW TODAY IN ISRAEL REGARDING SHEMITTAH, THE CANCELLATION OF ALL DEBTS AT THE END OF EVERY SEVEN YEARS? The Oxford Dictionary of The Jewish Religion reads; (The Hebrew Word PEROZBOL from the Greek prosbole, meaning “for the court” or “official notice”) is a legal instrument annulling (declaring null and void) the sabbatical release of debts. All private loans were automatically remitted (cancelled) in the sabbatical year (Dt. 15.2); hence it became difficult to obtain loans immediately before the onset of the year. In order to avoid hardship and encourage lending, Hillel (a Rabbinic authority, and Pharisaic leader, 30 B.C.E/B.C.) instituted the Perozbol (Mishnah Talmud Shevi’it 10.3), which is a declaration made before the court of law by the creditor, and signed by witnesses, stating that all debts due to him are given over to the court for collection. Since the remission (cancellation) of loans during the seventh year applies only to individuals but not to public loans, the effect of the Perozbol is to render the individual’s loan public, and it is therefore not nullified (not cancelled) (see Dispensation) (which is action by a competent halakhic authority, an authority of Jewish Religious Laws of Torah and Talmud) to relax certain laws in order to alleviate hardship. The amora’im (Hebrew for Jewish scholars around 200-500 C.E./A.D.) criticized the Perozbol as circumvention of Biblical Law. But the authority of Hillel ensured its retention. In summary, Shemittah, the cancellation of all debts at the end of every seven years is not in effect in Israel today. Although The Jewish scholars of 200-500 C.E./A.D. claimed that by rejecting Shemittah, they disobeyed GOD’S Biblical Law. But because of the authority of Hillel, Shemittah, the cancellation of all debts in Israel does not exist today. GOD DID NOT MAKE LAWS TO PUNISH US. BUT RATHER GOD MADE LAWS FOR OUR GOOD. TO HAVE A GOOD AND PROSPEROUS LIFE ON EARTH WITH GOOD HEALTH AND GOOD SUCCESS. AND TO INHERIT ETERNAL LIFE IN HEAVEN WHEN WE OBEY THEM. Although Hillel and those who agreed with him thought they were doing a good thing by abolishing Shemittah, they did the wrong thing by disobeying GOD. DEUTERONOMY 15.7-8 The LORD GOD says to His Jewish People, Do not ignore those Jewish People who are in need. Do not harden your heart, nor shut your hand from your poor brother. But you shall open you hand wide to him and lend him that which is sufficient for his needs, in that which he is lacking. GOD speaks of lending to the poor that which he needs. But at the end of the seven year period, if the loan is not fully paid, the lender must forgive the balance. That is GOD’S Law. And since it is GOD’S Law, it is good for every one. DEUTERONOMY 15.9 Beware, Moses speaking The Words of The LORD GOD, that you refuse the poor because the seventh year of release is near, and you give him nothing. And he cries to The LORD against you, and it is sin to you. DEUTERONOMY 15.10 When you give to the poor, or lend to the poor, The LORD promises to bless you in all your works and in all that you put your hand to. GOD did not create The Law of Shemittah without thought. If the lending institutions and individuals put GOD’S Law of Release into practice that GOD established some 3,400 years ago, GOD would Bless them in all their works and in all that they put their hand to. And GOD’S Law of Release would succeed. And obedience to all GOD’S Laws have GOD’S promise of Eternal Life in Heaven. GOD’S Law of Release is not idealistic or unrealistic. The Law is of GOD and therefore realistic. It can be done. And GOD Blesses those who obey Him. Key executives of lending institutions are certainly blessed with great wealth. But are they blessed with Eternal Life in Heaven? DEUTERONOMY 15.11 Again GOD says, You shall open your hand wide to your brother, to your poor, and to your needy in your land. That would include Shemittah, The LORD’S Release. Every nation, every culture, every religion, every race has poor and needy. GOD says, You should open your hand to them. Even lend to them keeping in mind GOD’S Law of Release at the end of every seven years. Posted on October 7, 2018 October 8, 2018 Categories Shabbat MessageLeave a comment on SHEMITTAH, AT THE END OF EVERY SEVEN YEARS YOU SHALL CANCEL ALL DEBTS.